When the State of Israel was established in 1948, many Israelis expected Jewish communities in the Diaspora to relocate en-masse to their homeland in Israel. When they didn’t this posed a challenge to the Israeli-Diaspora relationship. When the State of Israel achieved independence in 1948, Jews in the newly created country hailed the event as the realization of a 2,000-year old dream to resuscitate a Jewish homeland in the Holy Land. In the succeeding years, the influx of Jewish immigrants into the newly created state proved to that the young country that it could achieve kibbutz galuyot–an ingathering of the exiles that was one of the central ideals of the early Zionist thinkers. Indeed, the Zionist ideology that informed the leadership and the citizens of the young state placed their country at the center of the Jewish world. The Hebrew word for “the land,” ha’aretz–originally part of a Jewish religious lexicon–became a common way to refer to Israel. Similarly the term hutz la’aretz, literally “outside of the land,” denoted any location abroad. The Zionist movement had coalesced in response to a need for a solution to the dilemmas of the 19th-century European Jewish Diaspora. The antidote was the establishment of a Jewish state. But the sabras (native Israelis) went beyond that. They viewed Jewish existence outside of the Land of Israel as doomed and abnormal. The Holocaust was proof positive of this view, as well as endangered Jewish communities across the Middle East and the Soviet Union. The best way in which world Jewry could contribute to the Zionist enterprise as well as their own well-being was to relocate and join in Israel’s national project of creating the new Jewish paradigm of existence. This attitude of placing no value on the Diaspora communities came to be known as shlilat ha’galut, or the negation of the Diaspora. The concept became infused into Israeli education about Jewish history and modern day Jewish life, making it the dominant prism through which Israeli society looked outward for decades after the founding of the State. Not surprisingly, the fact that many Jewish communities outside of Israel continued to flourish rather than pack their bags posed an ideological challenge for Israelis. Chief among these prosperous Diasporas was the American Jewish community, arguably the most successful Diaspora community since the first Israelite kingdom was exiled to Babylon. 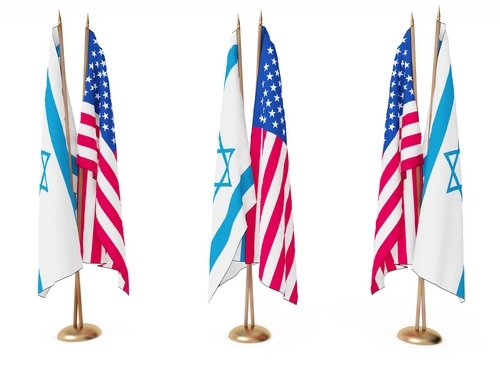 A poll taken of Israel Jews in the late 1980s by sociologist Steven Cohen and political science professor Charles Liebman found that a majority of Israeli Jews believed their American counterparts could lead a fuller life in Israel rather than the United States. A similar majority said they were “troubled” that American Jews were not immigrating en masse. And nearly two-thirds said they considered it an obligation to convince American Jews to move to Israel. However, coexisting with the shlilat ha’galut (negation of the Diaspora) conception was an urge to reach out to the Diaspora in partnership. The following quote from Israel’s first Prime Minister, David Ben Gurion, sounds as if it were lifted from the traditional Jewish saying that all the people of Israel were responsible for one another. This concept of partnership was strengthened following the 1967 Six Day War and the 1973 Yom Kippur War. With Israel’s existence seemingly hanging in the balance, American Jews rallied around the Israeli flag and raised a record amount of financial support. Institutions like the Jewish Agency, the World Zionist Organization, and the Joint Distribution Committee were organized to be the focal point for joint activity. In a program called Project Renewal, twin city relationships were established during the 1980s to allow Diaspora communities help in the refurbishment of working-class Israelis cities. While Jews in the U.S. elevated fundraising for Israel to its most lofty institution, Israelis became accustomed to being on the receiving end. But the dynamics of the seemingly one-way relationship often engendered bitterness among recipients. In the view of some cynical Israelis, cash was the minimum Diaspora Jews could give when they themselves weren’t sending their kids to mandatory army service. In the early 1990s, Matti Golan, a prominent Israeli newspaper editor, authored With Friends Like You (the Hebrew title of which was Blood for Money), in which he argued that what Israel needed was not American Jewish hand-outs, but badly needed investments. The dramatic signing of the 1993 Israeli-Palestinian peace accord created shockwaves that altered Israel’s relationship with the Diaspora. With Israel taking the initiative to sign bilateral peace treaties with its neighbors, American Jewish lobbyists from organizations like the American Israel Public Affairs Committee were rendered less critical for Israel’s defense abroad. Instead of questions of Israel’s survival, issues of the quality of Jewish life in Israel became more prominent. For example, when Israel’s Orthodox Jewish establishment sought to delegitimize the conversion institutions of Reform and Conservative movements, U.S. Jewish leaders from those denominations saw the move as an attack on their religious and cultural identity. Average Israelis however, was unable to understand the controversy because they had little appreciation for the pluralistic Jewish life in the U.S. The focus on quality of life was also a source of cooperation. As American Jews grappled with assimilation and intermarriage during the 1990s, Israel was looked to as a way to stoke the embers of fading ethnic identity in Jewish youth. This approach became the centerpiece of “birthright israel,” a program aimed at providing a free a trip to Israel for Jewish young adults aged 18-26 who have never visited the country. Commercials for the program on Israel radio provided testimonials of participants who had become active in their community and behalf of Israel after the trip. Israel was once again playing the central role in Judaism, but instead of encouraging immigration it is being used to help strengthen the Jewish community in the Diaspora. As the situation between Israel and the Palestinians worsened in the early years of this century, however, the pendulum began to swing backward somewhat, with Israel–again under attack, figuratively and literally– relying heavily on Diaspora Jews for political support.